If you are struggling to make sense of the prologue to Romeo and Juliet, try this handy line-by-line analysis. We start first with the prologue in its entirety and a quick summary of the facts. Then, we move on to a translation and explanation of each line individually. To make things easier, the prologue is repeated in full again at the end of the analysis. This analysis may make writing essays a bit easier as well. Doth with their death bury their parents' strife. Review Iambic pentameter and Romeo and Juliet sonnets. Two high-class families have been fighting for years in the city of Verona, Italy. They are soon to become embroiled in violence again. Their old grudges will erupt in bloodshed and stain their hands. Note the perfect iambic pentameter of this line: Two HOUSE/ holds BOTH / a LIKE / in DIG /ni TY. The two households referred to here are the Capulets and Montagues. Both families are equally high in rank within the city of Verona. Remember that in the time period of the play, a "household" might include extended family, friends, and servants. So, the two households could make up a large part of the population of a smaller town. Verona is in northern Italy. The play is intended to take place in the 14th or 15th century. That would be about 100 years in the past, to Shakespeare's audience. This line simply makes clear that the setting of the play will be in Italy, not England. An old grudge and simmering resentment between the two families will burst into new violence. The Capulets and Montagues have a long-standing feud that affects everyone in town. Even their servants hate each other. Though this feud has not erupted in violence for awhile, it will soon do so. The very first scene of the play (the one that follows this prologue) is a brawl that starts because of some harsh words between the servants of both families. The violence of the fighting between these families puts blood on the hands of civilians. The Montagues and Capulets get blood on their hands, when they should really be avoiding this kind of low-class brawl. Consider the play on words here with the two uses of the word "civil." Even though they are supposed to be "civil" or seemly, decent, and well-behaved families, not soldiers, they still shed blood and are guilty of violence. Also think of the image created by hands being unclean and stained with blood. These two things are examples of the poetic use of language in this prologue. Note the rhyme scheme that continues according to the pattern of a sonnet. The iambic pentameter continues as well, even though it is not marked. Two lovers are born from these warring families. Their death will cause the Montagues and Capulets to finally end their feud. These two enemies bore children. "From forth the fatal loins" is a reference to birth. Loins is another word for the area between the legs. A baby comes forth from its mother's loins. Referring to them as "fatal" implies immediately that the outcome may be deadly for the child or parent. "These two foes" are the Montagues and the Capulets. In the next line, we are to discover that there will be two children, one from each family. Two lovers are born from the families. Their love is doomed by fate because of their birth to warring families. "Star-crossed" is the phrase that implies fate. The stars, or fates, are against the lovers from the start, as if their astrology dooms them. We can assume that one child will be a boy, and one will be a girl, and that they will fall in love. We do know that Romeo is the boy born into the Montague family and Juliet is the girl born into the Capulet family. What does "Take Their Life" Mean? "Take their life" can be read two ways: to take life from (or be born), or to take life away from (or kill). In other words, the prologue gives you a hint about how this play will end, with the lovers taking their own lives. "Take their life" means, on the surface, that these two children gain life from their mothers. However, since we know that both Romeo and Juliet commit suicide, the phrase "take their life" has a double meaning that foreshadows later events. Whose struggles and defeats should inspire our pity. This line is likely placed to enhance the rhythm of this sonnet. Its meaning is somewhat ambiguous. Misadventures are bad adventures, or bad experiences. Piteous implies that we should feel great sympathy for the lovers. The Meaning of "Misadventured Piteous Overthrows"
The word "overthrows" refers to a lesser-known definition of the word. It is: "a removal from power, a defeat or downfall." In this case, "overthrows" refers to their attempts to thwart the hatred between the families and turn it to love. In their love, Romeo and Juliet rebel against the family feud. Thus, the lovers will have bad experiences worthy of pity and eventually be defeated. However, keep in mind that we have to stretch pretty far to come up with this interpretation. When the lovers die, the Montagues and Capulets finally stop fighting. The death of Romeo and Juliet is pre-determined with this line. The audience now knows how the story will end. The two lovers will die and the families will end the feud because of this. Also note the double meaning of burying strife with death. When the lovers die, they are buried. The conflict between the families dies as well, and is buried along with Romeo and Juliet. 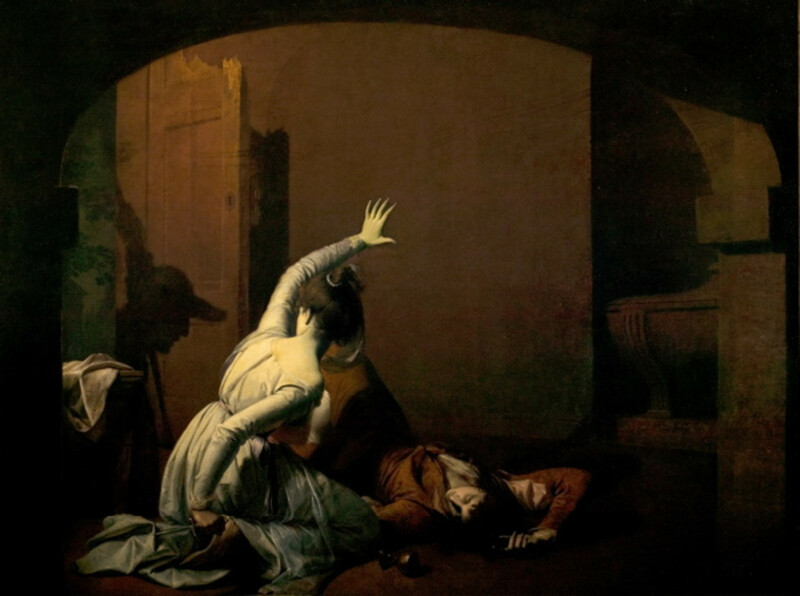 The fear-filled and thrilling story of how the lovers died, and how that death was the ONLY thing that could end the feud, these are the things we will perform onstage today. The play will tell the story of how the feud was ended by the death of the two young lovers. "Fearful passage" is a poetic way of saying the progress of their love is full of fear. In Shakespeare's time, this also meant a story was thrilling to the audience. Their love is marked for death from the very beginning. We are again reminded that the end of the story will be tragic. We begin the play by knowing the end of the story. What we don't know is HOW that end will come about. This line depends on the next line to make it complete. But, it begins by telling us that the story will include the continuing anger between the families. It implies that this "rage" will negatively affect everyone. The real meaning comes in the next line. The anger was so strong that, except for the death of their children, nothing could take it away. Shakespeare has a tendency to reverse the order of words. In this line, that is most apparent. What it says is: only the death of the children could take away the rage. "Naught" means nothing. So when we read "naught could remove" it means "nothing could remove." This line combines with the line before it in order to make sense. The complete meaning, then, is: The continuing feud between the Montagues and Capulets will only be ended because of the deaths of Romeo and Juliet. Nothing else would be strong enough to end the hate. Is what we will perform for you here on this stage. The chorus is now telling the audience that the whole story just laid out will be performed on the stage. "Two hours traffic" means that for the next two hours, the performers will come and go onstage to enact the story. It is somewhat odd that the line says two hours. 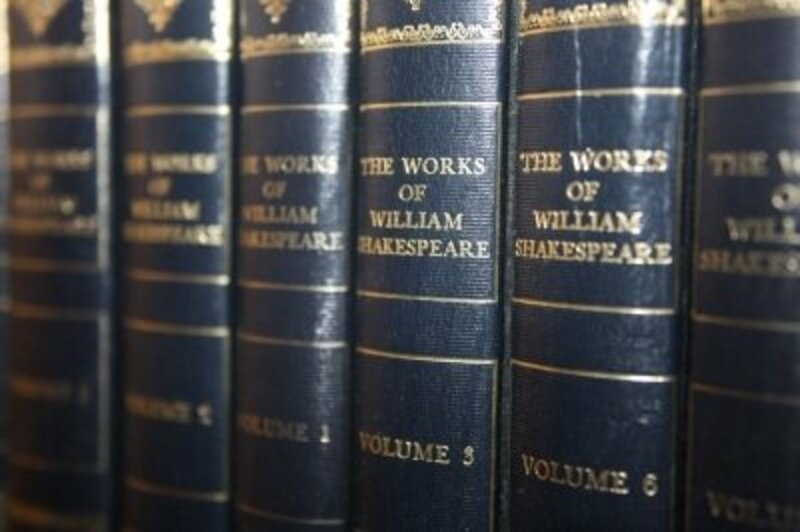 In general, Shakespeare's plays were much longer than two hours. They often lasted several hours or even an entire afternoon. This anomaly is interesting to people who wish to look deeper. Note that the last two lines rhyme with each other, creating a final couplet as required by the format of a sonnet. This couplet has a simple meaning. It tells the audience that "If you pay attention to the play, everything will become clear. All the details missed in the prologue will be revealed in the performance." The play will tell the whole story, if the audience will watch closely. "Attend" means to pay attention. 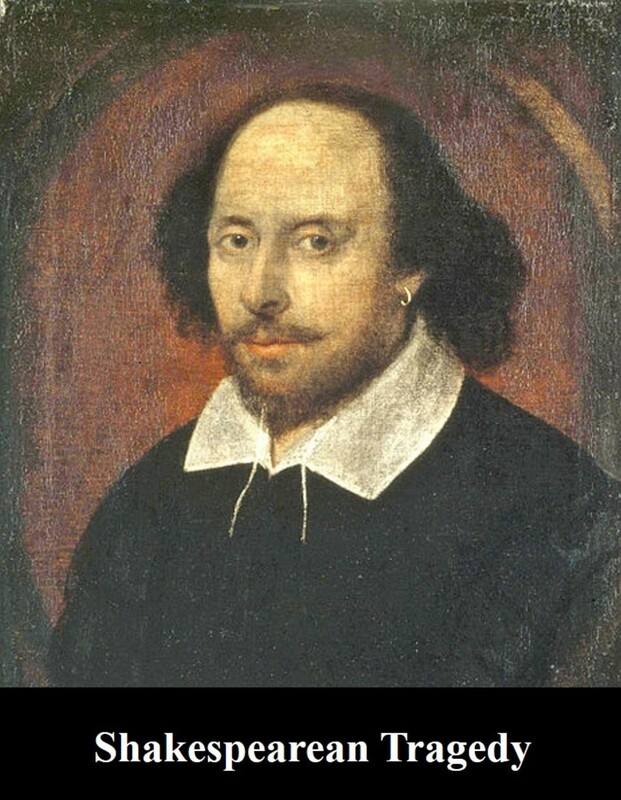 We know that the audience does more than listen, but Shakespeare chooses to use the word ears, implying that listening to the words will be important. This makes sense because of the poetry of the play. The actors will work hard to perform this story and fill in any details this prologue leaves out. "What here shall miss" means: What has not been said here in this prologue. The chorus explains that the upcoming play will cover many more events that were mentioned. Using the words "toil" and "strive" implies that the performers will be taking great care to demonstrate the story. The key thing to keep in mind is that the entire prologue is a setup to this final line. This line is the introduction to the play, preparing the audience to get ready and pay attention. Why are you studying the Romeo and Juliet Prologue? Can you elaborate on how love and fate are represented in Romeo and Juliet? If you are looking for representations of love and fate together, you need to look no further than lines 6 and 7 of the prologue. Both of those lines, taken together, strongly imply that fate plays a huge role in the play. Use of the term "star-crossed lovers" is a rather obvious reference to fate. The stars are against Romeo and Juliet. The stars, in fact, are at cross purposes to the young lovers. Therefore, Romeo and Juliet are "star-crossed," and fated to suffer from circumstances beyond their control. A less obvious representation of fate comes with the phrase "misadventured piteous overthrows." There is the sense of sadness (piteous), and tragic life-altering mistakes (misadventured overthrows). These events are beyond the lovers' control, and a strong representation of fate. These two lines set up line 8, where the use of "fearful passage" and "death-marked" are used in direct linkage to the love between Romeo and Juliet. Here in the prologue, we see that death is a foregone conclusion, and that the lovers are fated to die from their passionate connection. Why did Shakespeare use the sonnet form for the prologue? We don't know for sure, but it seems possible that the sonnet form was chosen because of the sonnet's strict order and structure. The events of the play will be chaotic. The words of the sonnet tell a story of potential violence and disarray. Yet, these words are contained in a very orderly poetic form. The contrast of these two things adds complexity and depth to Shakespeare's prologue. 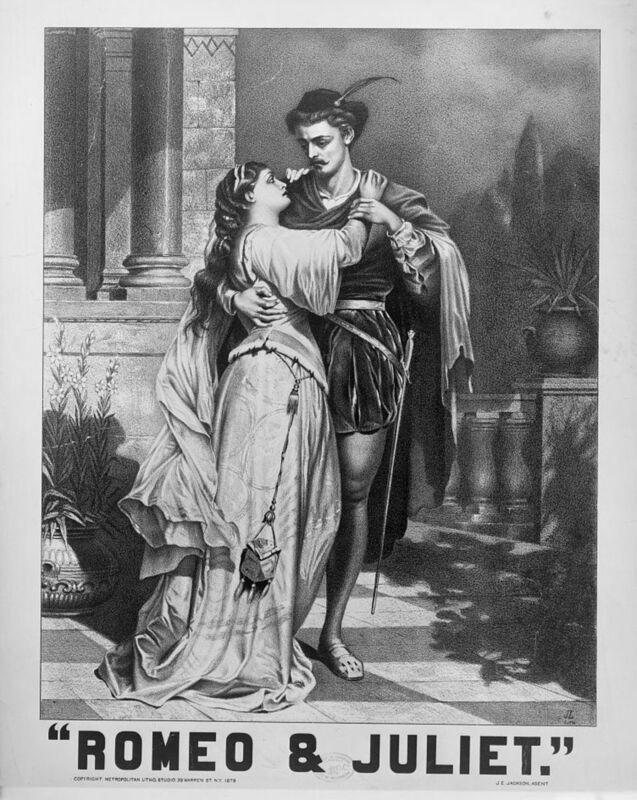 One other popular theory proposes that the sonnet form is chosen because Romeo and Juliet is a love story, and sonnets are associated with love. This may be the case. However, it seems more likely that this theory is an interpretation that we can put on the prologue as we look back on the play. It may not have been a deliberate choice on Shakespeare's part. We have no way to know for sure, as I said, but it is enjoyable to study and consider. Why does Shakespeare tell us how the story is going to end? I know it might seem odd that Shakespeare tells us the ending of the Romeo and Juliet story in the prologue. But, it really wasn't all that unusual in Elizabethan England. This was a common practice in theater at the time. 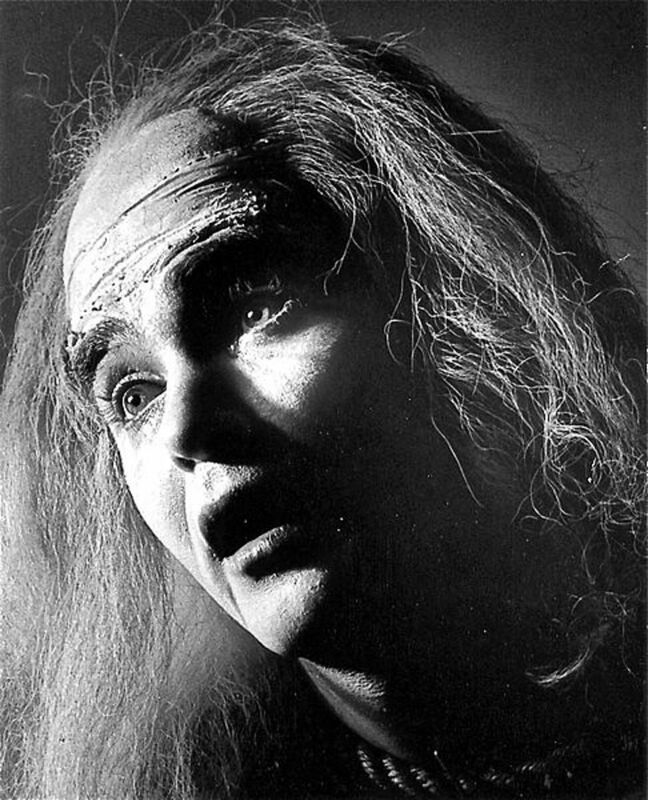 The concept began with Greek theater, and was revived in Shakespeare's time. Typically, the prologue would reveal the key points of the story. The audience wouldn't mind at all. In fact, some audiences would prefer this type of predictable performance. “The which, if you with patient ears attend, what here shall miss, our toil shall strive to mend”. What does this line in the prologue of Romeo and Juliet mean? In short, it means "If you will patiently listen to this story which we will soon act out for you here onstage, what I have not explained here, we will show you in our performance." "The which" refers to the lines before. That is, the story of the love and death of Romeo and Juliet, and the feud between the Capulets and Montagues. "If you with patient ears attend" means "If you will patiently listen"
"What here shall miss" means whatever has been missed, or not completely explained, by this prologue. "Our toil" is the work of the actors in performing the play. "Shall strive to mend" means that the performance will mend, or fix, any gaps in the story. The performance itself will explain any ideas that have been missed by the statements in the prologue. "If you will patiently listen to the upcoming performance, all the details that the prologue may have left out will be shown onstage by the actors in this play." 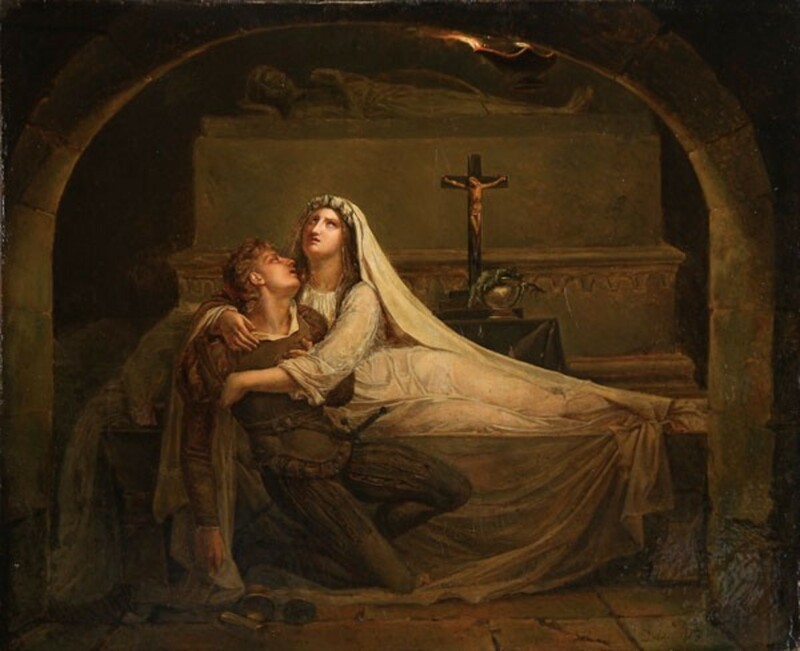 What is the tragic theme of "Romeo and Juliet"? There are several possible themes to discuss in "Romeo and Juliet." It sounds as though you are looking for something that connects well with the definition of tragedy. In this case, one of the themes could be that unrestrained passion is fatal. We see examples of this sort of thing throughout the play. Friar Laurence has several speeches that admonish against rash and violent actions. Tybalt as a complete character demonstrates the destruction of passionate emotions that are not balanced with dignity. From the very beginning of the play, unrestrained emotion drives characters to devastating violence. A typical theme of "Romeo and Juliet" might be, simply, "love." But that is too simplistic. 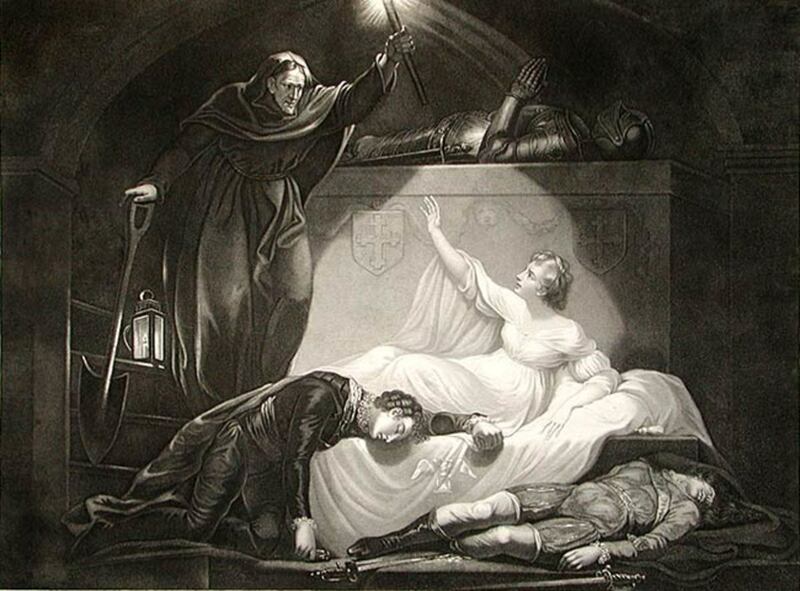 The TRAGIC theme of the play is better stated as: "unrestrained passion can be fatal." 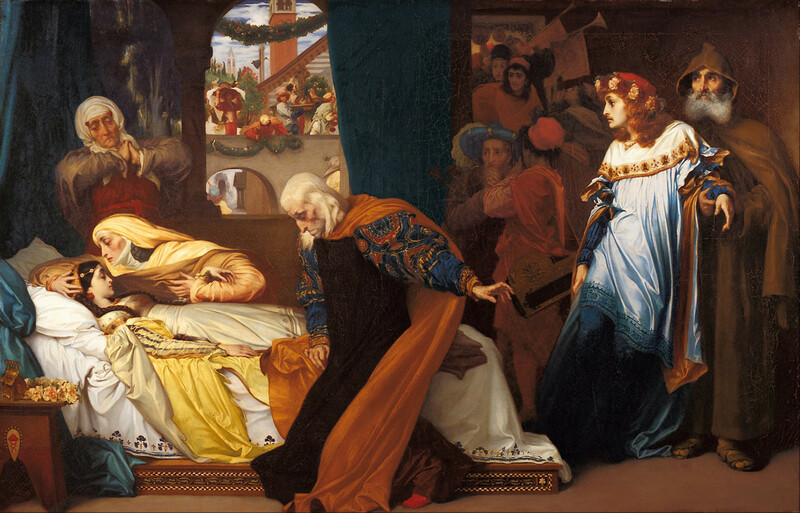 Passion certainly was fatal for many of the characters in the play, and not just Romeo and Juliet. Why did Shakespeare write a prologue? No one is really sure of Shakespeare's motives in writing this prologue. However, the prologue to Romeo and Juliet sets up the story very effectively. It would be very common in Shakespeare's time for audiences to know all about a story before they ever saw it acted onstage. So, it's not unusual that the prologue sets the scene and tells everything that is happening in the play before it even begins. The great thing about this prologue, though, is that it really adds weight to the "star crossed lovers" theme by increasing the sense of fate. From the very beginning, the fate of the young lovers is already decided. This theme of fate weaves its way throughout the rest of the play and is underscored by the prologue itself. So, while we don't know exactly why Shakespeare wrote it, we certainly know why it is a perfect way to start the play. Is Romeo and Juliet a tragedy or a comedy? Technically, The play Romeo and Juliet is neither a tragedy nor a comedy. The play does not fit the classical definition of tragedy. In a traditional tragedy, there must be a main character who begins as a good person, but has a fatal flaw that leads to downfall, and eventually, death. Before death, that main character must also have a moment of insight, and express some form of awareness that there has been a fall from grace. None of the characters in Romeo and Juliet fulfill all of these characteristics. Friar Laurence comes closest. However, even though Friar Laurence does evidence a fatal flaw, downfall, and insight, he does not die. 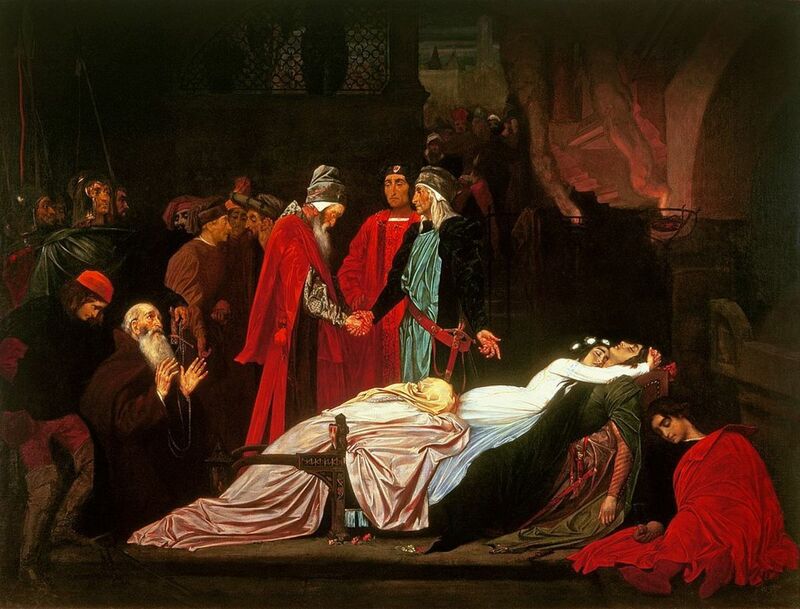 Romeo and Juliet both die, of course, but they do not show evidence of the progression required to be considered tragic heroes. So, Romeo and Juliet is not easily classified as a tragedy. A Shakespearean comedy has a lighthearted tone and typically ends with the marriage of several characters, or another celebration of some sort. I think we can all agree that Romeo and Juliet does not fit with this definition of comedy. Therefore, Romeo and Juliet is not classified as a tragedy and does not fit the requirements of a comedy, either. What is the setting of "Romeo and Juliet"? "Romeo and Juliet" takes place in the 14th century in the city of Verona, Italy. what does the chorus ask of the audience in the last two lines of Romeo and Juliet? What here shall miss, our toil shall strive to mend." The chorus is asking the audience to pay close attention to the actions that will soon take place on stage. The Meaning of "Two Households Both Alike in Dignity"
I really enjoyed reading your analysis. Very thorough and it has helped me understand a bit better. Thank you. Pretty good analysis. I had some thoughts. I would like to point out there are two places in the prologue that breaks the iambic rhythm. The first is in the third line: "From ancient grudge break to new mutiny." You would never emphasize "to" over "break," so it's irregular. Then in the line "Doth with their death bury their parents' strife" the rhythm is broken by the word "bury" as you would put the emphasis on the first syllable rather on the second. Whenever a rhythm is broken it calls attention to itself. And this is Shakespeare's way of telling the actors how he wants the lines to be read (Hamlet is full of this). It's usually the most important word in the line. Calling attention to "break" and "bury" sets the tone for the tragedy to come. What a thorough analysis, thanks for this!